If you’re reading this then the chances are that either you, or someone you know, has put washing up liquid into a dishwasher. Don’t worry, while dishwashers are not designed to use washing up liquid, this is not the first time that this has happened and most certainly will not be the last! What happens when washing up liquid is put in a dishwasher? 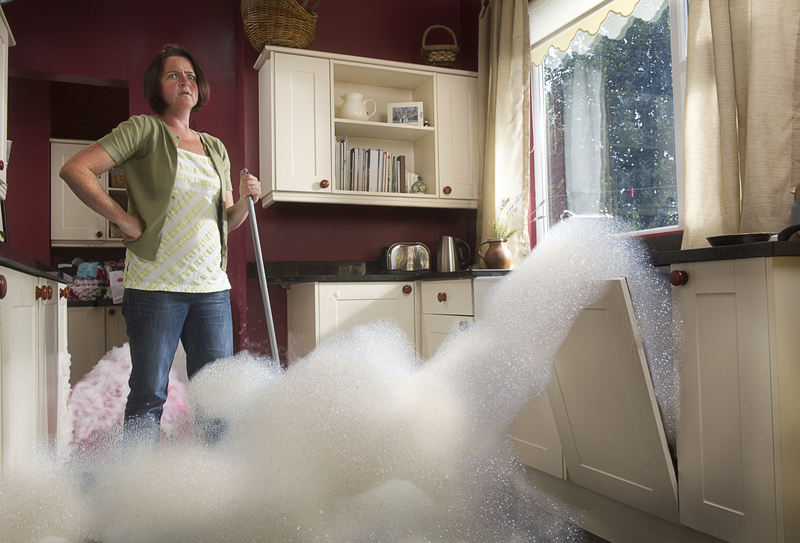 As you can imagine, when washing up liquid is placed into a dishwasher, it causes a large build up of bubbles and suds. Water, heat, and movement all contribute to increasing the volume of bubbles inside of a dishwasher with washing up liquid inside. 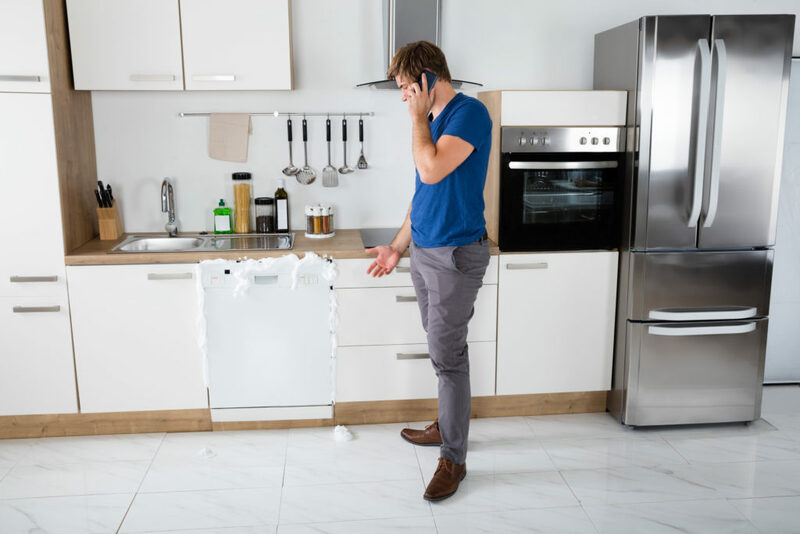 These bubbles find their way through the nooks and crannies of the appliance and can consequently end up in areas they really shouldn’t be in (such as the chamber, or the electronic components). This can, in turn, cause extreme damage to your appliance. What to do if washing up liquid ends up in the dishwasher? The best course of action to take is to turn the dishwasher off as soon as possible and try to get as much of the bubbles and water out as you can. Once you have removed as many of the bubbles as possible, place a bar of soap into the dishwasher, then leave it for a while before turning it on. The bar of soap will work to help neutralise the bubbles. What can I put in the dishwasher? It is important to remember that dishwasher tablets are very different to washing up liquid in their nature. One is designed to create bubbles which help to lift dirt off, and the other is designed to use hot water to aid dirt removal. Because of this difference, it is best to keep the two separate. Once you done damage control on your dishwasher, it should be back to working as usual. However, if the appliance doesn’t work as normal then it’s time to call in the professionals and book a dishwasher repair with us at Glotech. We are sure to have your machine up and running in no time!